Having failed to enter the Royal Academy of Art in Sweden in 1971, Lars Jonsson went on an expedition from Sweden to West Africa. Birds became a conscious part of Jonsson’s childhood at just four years old. His parents took a holiday home two or three summer months in the Baltic island of Gotland, an ideal habitat for breeding waders and wildfowl. He joined a branch of the Field Biologist’s Society in Stockholm and here his talent for ornithological illustration was spotted and encouraged by one of the members who worked at the Riks Museum and an exhibition of the fifteen year olds work was arranged. Instead of academia he went overland from Sweden around the Sahara Desert to West Africa with his brother. Determined to become an artist, he returned home with a huge list of new birds that he had watched and sketched. 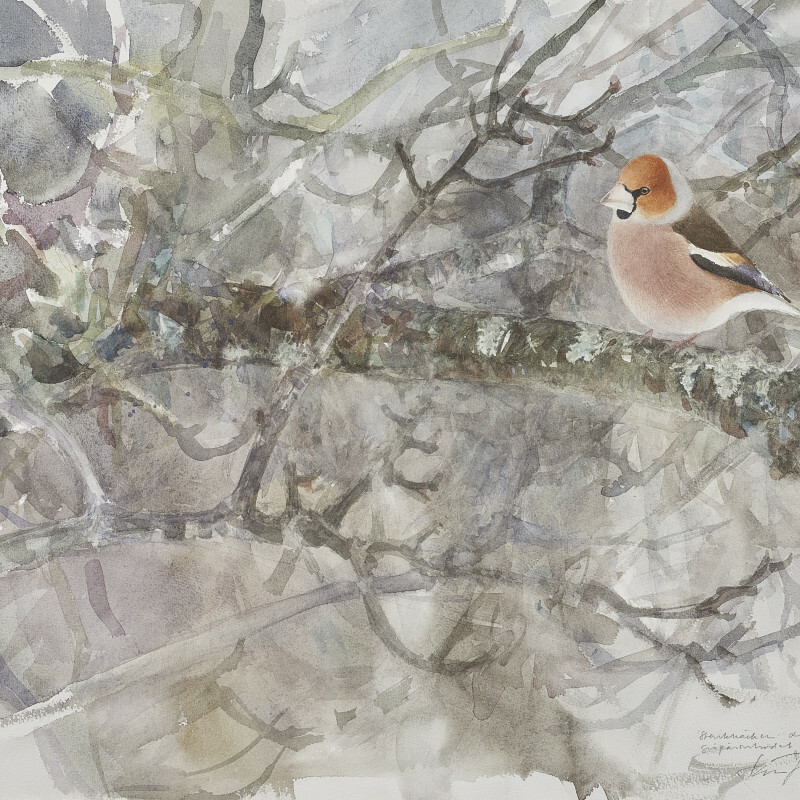 Jonsson was able to commit himself to painting full time when he signed a contract with Wahlström and Widstrand to write and illustrate a series of five field-guides on European birds. After five years hard labour on the guides Jonsson, still in his twenties, was able to concentrate on gallery paintings of wildlife as well as landscapes and portraits. It also gave him the opportunity to travel outside Europe and he set out for the New World.